Back in the early 00s, during the golden age of online poker, Party Poker was the undisputed king. The site was founded in 2001 and grew to become the epicenter of Internet poker action across the globe. But when the US federal government passed the Unlawful Internet Gambling Enforcement Act (UIGEA) in 2006, the site decided to leave the lucrative US market for fear of violating the law. Not all of the company’s competitors did the same, however. PokerStars decided to stick around and soon filled the power vacuum created by Party’s exit. While the site left untold profits on the table by pulling out of the US, it did earn some brownie points from the US government for doing so. In 2013, New Jersey legalized online gambling and Partypoker’s parent company, bwin.party, became licensed to operate in the state through a partnership with Atlantic City’s Borgata. PokerStars’ path to becoming regulated was much more torturous due to the position it took after the UIGEA. partypoker uses its own proprietary software to power both its own card room and that of Borgata’s as well. Both sites share player pools in an effort to give their users more cash games and tournament options. While the sites’ player pools are combined, each keeps a slightly different tournament schedule and runs its own distinct promotions. In this review, we’ll explore partypoker to see how it compares with its NJ competitors and find out if it lives up to its global brand! Create a Partypoker NJ account using the links on this page, or the code below, and get $25 absolutely free. When you make your first real money deposit, you’ll receive an additional bonus of 100% of the deposit amount, up to $1,000. Your free sign-up bonus consists of $10 for poker cash games tables, $10 for casino games and $5 for Big Money Tournaments. Your deposit bonus is released in 10 equal increments; for every $2 you pay in rake, you’ll unlock $1 of the bonus. If you are an online poker veteran going back to the pre-Black Friday era, you’ll instantly recognize the design aesthetics when you sit at one of Partypoker’s tables. While not an eyesore, calling the graphics dated is a bit generous. In my admittedly non-expert opinion, compared with the other New Jersey poker sites, Party has the worst combination of color palette and table animations. The software itself doesn’t perform poorly, especially compared to a couple of years ago when there were major lags and connection issues. It isn’t perfect now, and the worst issues seem to happen at the most inopportune times (namely during its flagship GSSS tournament series), but for the most part, Party has done a commendable job of fixing its problems and providing an enjoyable playing experience. The lobby is functional, with the ability to filter cash game tables by stake, amount of seats, game type and more. Sorting is limited, though, as you can’t sort by seats available, amount of money per pot, or even see the players at the table without clicking on the stake you want to play and opening up a mini lobby on the side. This is an inconvenience, albeit a small one, especially for those trying to grind many tables at once. Couple that with stake specific (as opposed to the standard table specific) waitlists, and it is apparent that Party is trying to eliminate bum hunting (the practice of searching out weaker competition to sit with) from its cash games. For the long term sustainability of the game, this concept is a positive, and probably outweighs the inconvenience it brings to the individual player. The mobile app is a watered down version of the main Party poker offering. The lobby takes a bit of getting used to, with the sorting/filtering options not being intuitive and also taking up a third of the screen. The ability to sort by players at a table (which you can’t do by default in the full version) is a welcome addition. The real problem is when you sit down at the tables: the sounds are annoying (they can thankfully be turned off), the lack of an auto rebuy feature at cash game tables is a hindrance, and for some inexplicable reason you can’t type in exact bet numbers. Instead, you can either use preset bet amounts (like ¾ pot, pot, etc. ), or use a wheel-like graphic which can give you more precise bet types as you move it up and down. Expect to time out occasionally as you attempt to narrow down the exact bet you want under the pressure of a rapidly falling timer. You can jump in any of your favorite cash games, Sit & Gos, and tournaments with only a couple taps, however, so it is quite simple to get yourself into the action in no time flat. Partypoker’s flagship daily tournaments are a $10K and a $5K guarantee, which are the standard for online poker in New Jersey. A well designed structure, flat payouts (meaning they pay a higher proportion of the field), the occasional overlay, and a good mix of regular and non-regular players make these tournaments attractive to anyone. The daytime events are not as exciting, though, offering paltry guarantees, a lack of variety, and minimal satellites. As of late, Party has been having a bit of difficulty hitting the guarantees on its daily $10k and $5k, and has even been forced to cancel the $10k a few times. Cash game traffic is also down, and according to Pokerscout, the sites garners 40 to 50 percent less than rivals WSOP/888 and PokerStars. The opening night of the 2017 Spring GSSS was not promising either, as there was about $10,000 in overlay on a $50,000 Sunday guarantee. In the past, opening GSSS tournies had no problem clearing higher guarantees. According to its website, Party takes out 5% in rake for every cash game pot, which is on par with its New Jersey competitors. The maximum rake per hand dealt is generally higher, however, which means more money taken out in the biggest pots across all stakes. New players: New users get a $25 bonus without having to make a deposit (which is fairly generous, but does nothing for loyal customers). Bonuses: Players earn bonus points by playing real money games. Collecting points (which means generating rake) unlocks bonuses which Party automatically puts into the Bonus section of your account. You will then receive an email notifying you and must claim your bonus in order for it to be cashed out. 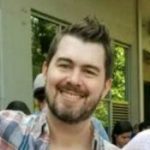 In my experience, the fact that the bonuses are tiny, a mystery, and sort of random, outweigh any potential benefits they bring. Nothing to work towards, nothing to look forward to. Loyalty: Party uses the leveling up system standard at all poker rooms, which grants you a status based on how much monthly rake you contribute to the site. Kudos to Party for keeping it simple (unlike other sites) and making its top spot within reach for serious grinders. You’ll earn 2 points for every dollar you contribute in rake and tournament fees. The rewards you can “buy” with these points are limited to tournament tickets, casino bonuses, and cash. In some instances (all the cash rewards, for example) you are only eligible for the rewards if you are a certain status or above (gold for the cash). In others, you can use your points to claim a prize from any status level, but will get a better price when you’re at a higher status. In other situations, everybody gets the same price. It is a bit difficult to make heads or tails of it all, but the store is still a decent option for getting rakeback. On the site, Party still makes mention of gadgets and other tangible items being available, but they are nowhere to be seen in the actual store. Party poker also offers Missions, which are basically a checklist of simple accomplishments to complete while you play your favorite games (play a certain amount of hands, knock someone out of a tournament, etc.). Upon completion of these tasks, you can earn more in bonus. However, when looking at the Missions through the poker client, there are no mentions of rewards on any of the actual Missions. So either the website needs updating, or there is a lack of congruency between the site and the client. Either way, it is confusing and not at all inspiring. Live poker is known for being a social activity and Party attempts to bring that social interaction to the online felt with Friends Lists and an in-client messaging system. Being able to follow your friends’ accomplishments in real time was a mildly interesting novelty at first, but it become tiresome after the 1,000th update. To date, the only messages I have received have been from opponents giving me unsolicited poker advice, and in a not too friendly way! I applaud the attempt by Party, but it would probably be better off with the Messaging system turned off. Partypoker/Borgata is known for their Garden State Super Series (GSSS), which it rolled out in 2014, and which has occasionally been hit with technical problems. In fact, it still doesn’t seem like Party has full confidence in its software, as the latest iteration of the GSSS series is a shell of its former self. The festival used to have over 60 events with heavy prize pools, culminating with a $250,000 guaranteed Main Event. In comparison, the Spring 2017 series offered only 11 events, with the same $250K in prize money spread out over the entire series. We can only speculate the true reasoning behind this drastic change, but it probably has to do with declining traffic (due to PokerStars), connection issues, stoppages, and tournament cancellations in most of their previous GSSS series. It’s a shame, because GSSS was the defining aspect which set Partypoker apart from the other New Jersey online poker sites. No other site had anything which came close to competing with it, and even with the issues (which were comparatively mild in recent editions) it was the most highly anticipated tournament series for New Jersey players. 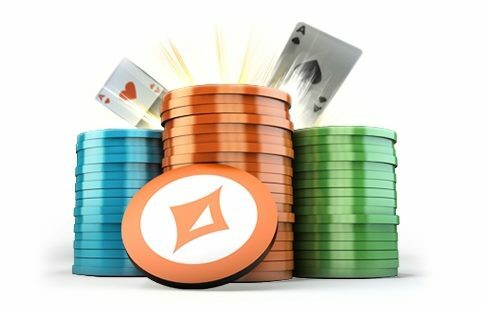 Partypoker does a good job of being visible on the main poker forums, letting players know of updates and acting as a virtual middleman to relay issues from players to company execs. Live Support is a good option as well, even if communication is not instantaneous (chalk that up to being spoiled by excellent non-poker live support). You can also reach Party by email, which can be time consuming, or can work perfectly, depending on the agent you speak with. The site also deals with numerous common issues in the FAQ section on their website, but it’s difficult to find, with no actual mention of it on the homepage. You have to know to click “Contact Us” which is buried in a tiny link on the bottom of the page. In such a small market, partypoker can’t rely on name recognition alone. Unfortunately, since the inception of New Jersey online poker, the site has taken a few steps back. However, the effort is still there and NJ players will certainly find an enjoyable playing experience of the site. With the recent entry of PokerStars, and the looming arrival of newcomer Pala Poker, it’s possible we might see a contraction or even a merger in Party’s future. It’s hard to predict, but hopefully the site can improve some of its shortcomings and traffic will once again be on the rise.